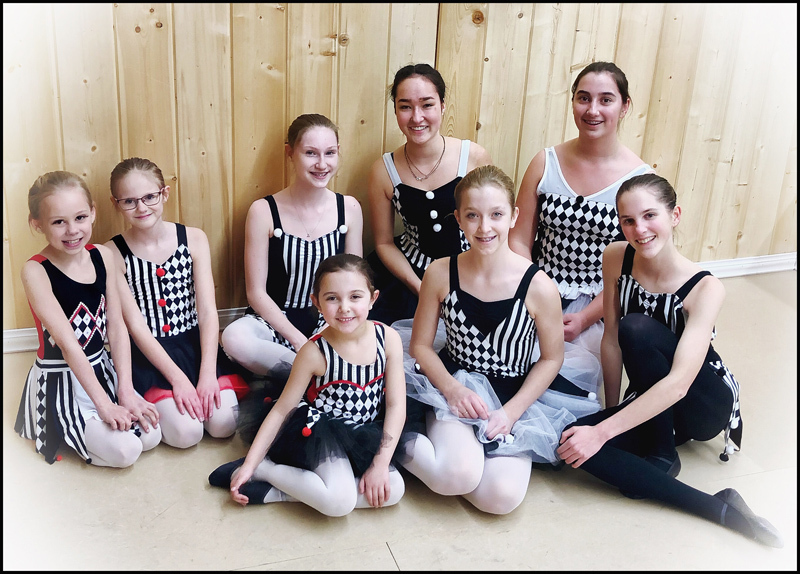 Students from the Love To Dance Academy will be competing at the Kamloops Festival of the Performing Arts on March 10 - 11, 2019 at the Rex Hall, Kamloops, BC. Jesters (Demi-Character Ballet Group): Costume Fitting & Rehearsal. Back: Mikayla, Dani, Abigail, Felize, Miranda. Front: Kate, Megan, Avery. Jesters (Demi-Character Ballet Group): Kate & Avery during rehearsals. Twenty-seven students from the Love To Dance Academy in Merritt, successfully completed and passed their annual Spanish Exams. Five adjudicators judged the dancers aged 4 - 16, awarding marks for technical ability, musicality and performance value. 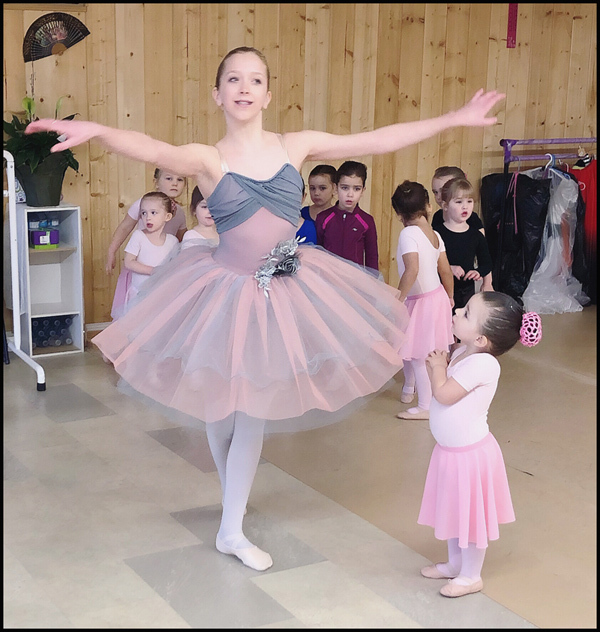 "Abby and Megan's New York Ballet Adventure"
"In the summer of 2018, Abby and Megan had the opportunity to compete in the American Academy Ballet Performance Awards hosted by the Love To Dance Academy. Both dancers finished with high marks. They each earned gold medals with distinction in their levels as well as partial scholarships to the AAB Summer School of Excellence 2019. This will be a trip of a lifetime and we just cannot let this opportunity pass by. Abby and Megan will spend one week in July at the Summer School of Excellence in New York. We hope this experience will encourage our girls to keep dancing and show them some of the wonderful things that dance can bring to their lives." - Candice & Selena. Support Abby & Megan by liking their Facebook Page. We are proud to announce that Johnny Brown is the new supplier for Love To Dance dancewear. Below, the prescribed outfits for Ballet RAD Grade Levels, pre-exam levels and Jazz. Participants in the 2018 Senior Dancers, Love To Dance Summer Camps had the chance to try their hand at choreography, set design, costume design and more. Five wonderful days filled with creativity. This year, students had a taste of the other aspects of the dance world, including designing costumes and painting stage décor and props that will be used in the upcoming winter concert titled "Museum of Art." Students also had the chance to learn about choreography while teaching their own work to other students. The camp was a collaborative effort between the Love To Dance Academy and the Nicola Valley Community Arts Council. The Little Movers Summer Dance Camp for young movers aged 3 - 6 was enjoyed by all who attended. Twenty-two little dancer left the camp with a bag full of crafts and a tutu (girls) or dance outfit (boys). It doesn't get much better than that! Ladies from all walks of life came together to create stylish memories. Laughter filled the room as interesting conversations could be heard, the setting complimented by colour, beautiful china and wild flowers. The ladies were met by the aroma of what was to come, a delightful finger buffet created especially by Chef Ryan at the Merritt Golf & Country Club. By the bright colours currently on display, it is visible that the flowers planted by the dance students in the Love To Dance gardens (Olde Courthouse, Merritt) were planted with love. During the month of June, 2017, dancers took a break from their dance classes for a day. Their mission was to create a brilliant display for everyone in Merritt to enjoy, by planting hundreds of colourful flowers, bringing to life a beautiful mixture of vibrant colours.